The inaugural LowCVP Low Carbon Champions Awards recognise best practice in vehicle manufacturers, fleet operators and developers of products and services that reduce greenhouse gases. The winners were announced at the Low Carbon Vehicle Partnership (LowCVP) Annual Conference during an Awards Dinner held at Twickenham Stadium. Amongst those on the judging panel was Professor Stephen Glaister, director of the RAC Foundation. Greg Archer, Managing Director of the LowCVP, said: “These Awards define excellence and innovation, identifying the leaders in accelerating the shift to low carbon vehicles and fuels. The winners include Oxford YASA Motors, a spin-out from Oxford University that has developed a high-efficiency, lightweight electric motor for use in electric and hybrid vehicles. The company was only founded in September 2009 but has already achieved sales of more than £200,000. Dr Tim Woolmer, Chief Technical Officer at Oxford YASA Motors, said: “We are delighted to win this award which will help raise our profile in this exciting market. Ali founded the car-sharing website when he was still a student in 1998. Today, liftshare is the UK’s largest national network of 1,300 car-sharing schemes. More than 375,000 individuals have signed up, sharing about 250,000,000 miles and saving over 80,000 tonnes of CO2 each year. Following a rigorous judging process, a total of 22 companies and organisations made the shortlist. 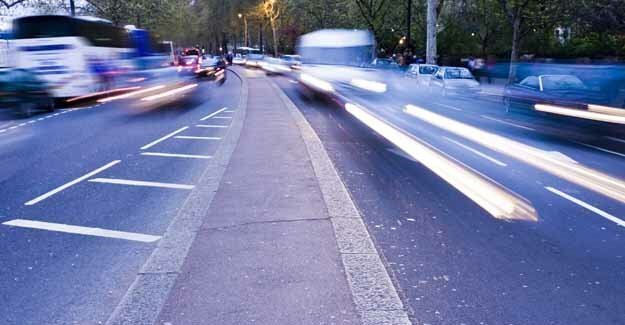 Now in its seventh year, the Low Carbon Vehicle Partnership (LowCVP) Annual Conference is the UK’s leading conference on low carbon transport policy and practice. For the company or organisation that has positively influenced the market for low carbon buses through their manufacture, operation or other activity. TfL is implementing a low carbon bus programme to reduce its carbon footprint in line with the Mayor’s Climate Change Action Plan by rapidly introducing fuel efficient, cleaner and quieter hybrid buses in the short and medium term. Long term, TfL’s strategy is to shift to zero emission vehicles, such as hydrogen powered fuel-cell technology. The organisation that has done the most to bring forward low carbon sustainable fuel technology or the supply of sustainable low carbon fuels into the market. commitment. By sourcing biofuels with the best sustainability characteristics to supply a third of all biofuels in the UK, the company has delivered sustainable transport fuels to the UK on a very significant scale. To the SME, start-up, academic or other small organisation or business, that has brought forward the most promising technology for reducing vehicle carbon emissions. Oxford YASA Motors was founded in September 2009 to commercialise the lightweight, high efficiency YASA electric motor developed in partnership with Delta Motorsport. The YASA motor has demonstrated an outstanding torque-to-weight ratio, offering weight-saving benefits to electric and hybrid vehicles. The company, a spin-out from Oxford University, has already achieved sales of £200,000 of sales and has a strong order book for its direct drive motor. For further details, contact Nick Farrant, Chief Executive: nick.farrant@oxfordYASAmotors.com; 01235 535513. For the organisation running or managing the most effective consumer or business-facing programme to stimulate low carbon vehicle or fuels uptake or more efficient fleet management or driving practices. This includes both publicly and privately funded programmes. In 2005, LeasePlan became the first major leasing company to launch a low carbon initiative. ‘GreenPlan’ has evolved into a programme enabling organisations to implement sustainable measures to reduce CO2 emissions, achieving TÜV Rheinland accreditation in 2009. Over the last 2 years, GreenPlan has accounted for over 22,500 tonnes of CO2 emissions reduction. For the company or organisation that has most positively influenced the manufacture of low carbon commercial vehicles or operation of a low carbon freight fleet. This may be through bringing innovative technology to market or through its enthusiastic and effective adoption. It encompasses both technology and other techniques leading to lower carbon operation. Iveco offers the most extensive range of low carbon commercial vehicles available in Europe. Its natural gas-powered range spans the complete 3.5 to 26 tonne sector and includes the cleanest and greenest heavy truck available in the UK. It also manufactures an innovative electric-powered light commercial range. Commercial Group demonstrates that successful businesses can operationally use low carbon transport to offer better, more efficient and more environmentally responsible services to customers. Through its innovative DRS and sustainable biodiesel used by the entire van fleet, the company has reduced its audited fleet emissions by over 70% since 2006. For the outstanding individual, NGO, community group or academic organisation that has made the greatest contribution to the achievement of the low carbon road transport agenda. Ali Clabburn founded car-sharing website liftshare when he was still a student in 1998. Today, liftshare is the UK’s largest national network of 1,300 car-sharing schemes. More than 375,000 individuals have signed up to liftshare, sharing about 250,000,000 miles and saving over 80,000 tonnes of CO2 each year. A social enterprise, liftshare generates turnover from corporate sales to the public and private sector, meaning it can offer free membership to private individuals. For the manufacturer or retailer that has done the most in the last year to communicate to consumers the benefits of low carbon choices through advertising, marketing, labelling, sales or other activity that promotes the purchase of low carbon vehicles. The BMW Group is committed to dealing with resources in a sustainable and responsible manner. BMW’s Efficient Dynamics technologies already feature in every new BMW and MINI and its benefits are communicated to consumers consistently and concisely. The LowCVP (www.lowcvp.org.uk) was established in 2003 to take a lead in accelerating the shift to low carbon vehicles and fuels in the UK and to help ensure that UK business can benefit from that shift. It is a newly incorporated partnership of approaching 200 organisations from the automotive and fuel industries, the environmental sector, government, academia, road user groups and other organisations with a stake in the low carbon vehicles and fuels agenda.